My career started out in the Army in the parachute regiment. At the age of 18 I trained in a NATO residential institute where the training was based around recreation and exercise. At the age of 20 I was qualified as a PTI. Four years later I was responsible for the fitness of 450 men and women in my regiment. 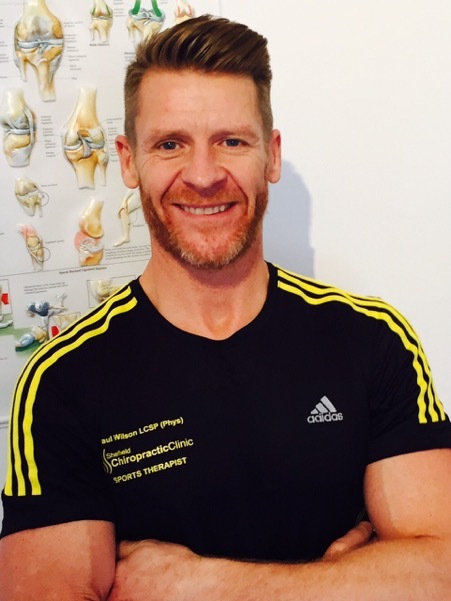 When I left the Army I furthered my career by studying in Manchester under the LCSP (London and counties sports physiologists) where I developed my knowledge base of sports massage and sports therapy. In addition to this I also trained as a spinal rehabilitation therapist. I joined the team at the Sheffield Chiropractic Clinic in 2003 on a part time basis but in 2004 I was soon working full time. During my time at the clinic I have attended numerous courses including Ultrasound application, Gait analysis, Dry Needle Therapy, FAKTR PM and instrument assisted massage. I enjoy a number of aspect of the job especially the injury rehabilitation aspect and the challenging nature of balancing return to activity and optimising injury recovery. I have worked with a variety of athletes including, footballers, golfers, climbers and even WWF wrestlers. Paul has over 25 years’ experience and is highly recommended in the Sheffield area.